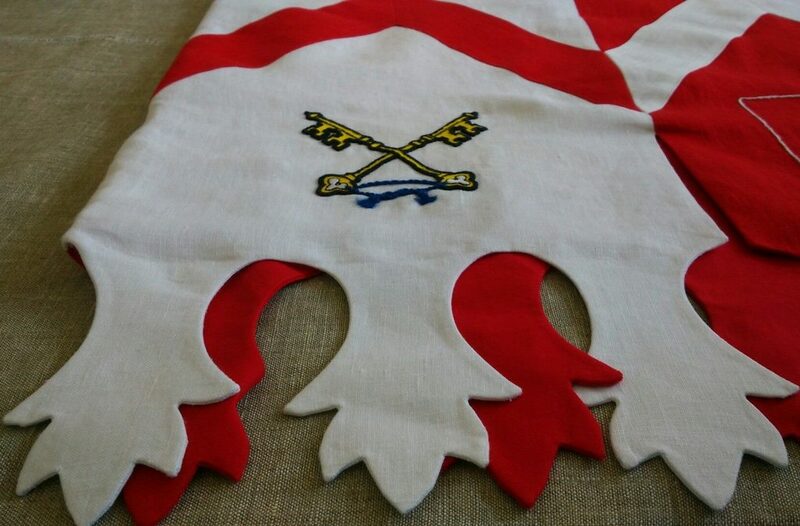 This knight tabard is an example of what we can create for you. If you have any questions, don’t hesitate to write us at [email protected] and we will help you to make your own wonderful tabard. You can choose next options for your tabard: Fabric – cotton, linen, wool; Lining fabric – absent, cotton, linen; Color – any color you wish; Decoration – can be machine-sewn or hand-made. We would like to bring to your attention category-gallery with examples, which we made in our mastery. You may not only buy tabards, which are shown here, but order unique model by your personal design. Every model of medieval tabard can be customized by your wish. 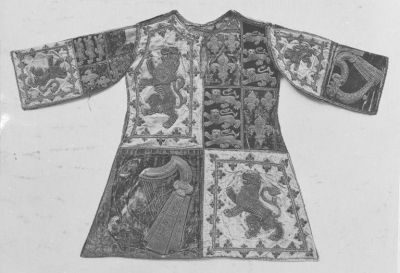 We can sew coat of arms with or without sleeves, with lacing on the sides and with pattern of any complexity. We use only natural fabrics (linen, wool, cotton) of various color for sewing and even can make a leather tabard for you. Kindly note that depending on the complexity of pattern, we choose way of application by ourselves and offer it to you. If you want another method, price might be changed. Don’t be surprised that prices are mentioned as “zero”. We calculate cost individually for each model, so please send us your tabard patterns and wishes to [email protected]. 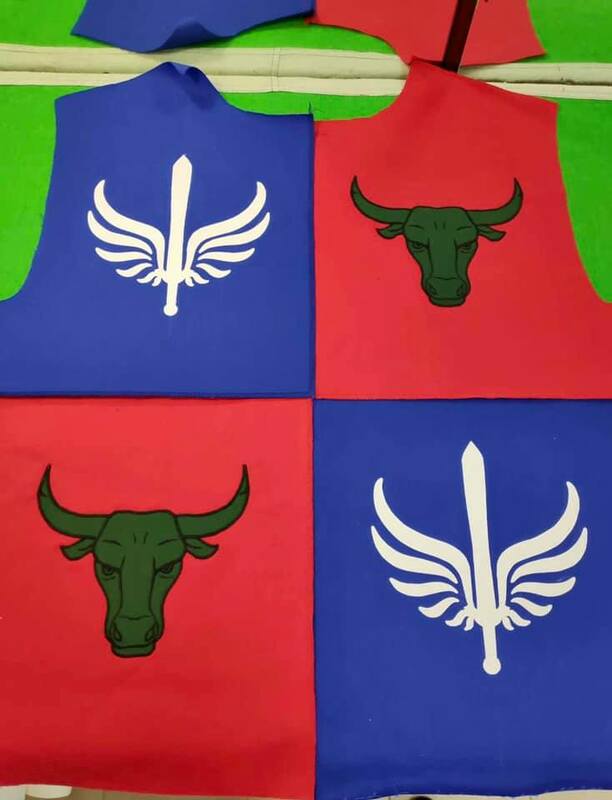 We offer tabard for sale as for one person, so for battle groups and teams. And, for your female comrade-in-arms we will gladly make woman tabard. Now, let’s make a retrospective journey into the history of tabard. What was that and why does it play so important role in the knight’s look? Oxford English Dictionary dates the first mention of this word by 1300 year. It is described as wide sleeveless piece of clothing, which looked like a tunic. Usually, foot soldiers, peasants and monks wore it like this. - as an identification sign at battlefield. Primarily, knights were using tabards for tournaments, but later they began to wear it for battles as well. Specific colors and pictures could point at soldier’s confession, affiliation to this or that lord. 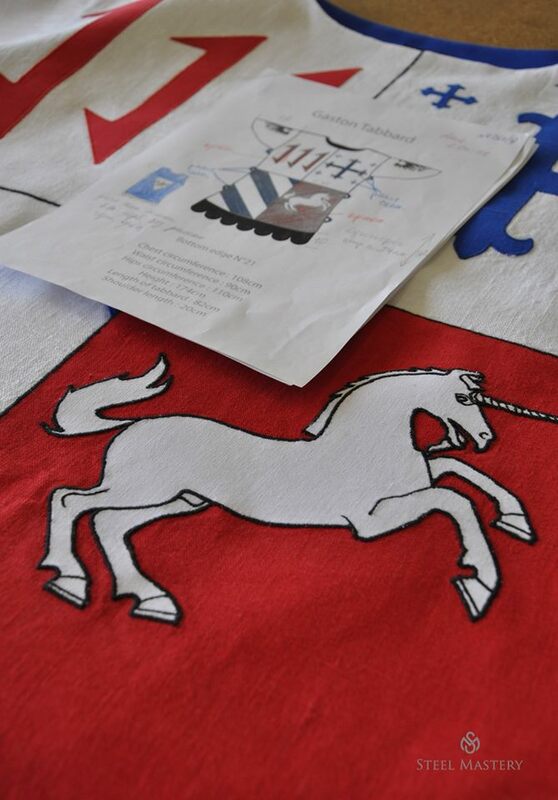 In heraldry, layout of heraldic signs on the halves or quarters of tabard calls “marshalling”. Its correlation usually shows ancestry and lineage of wearer. 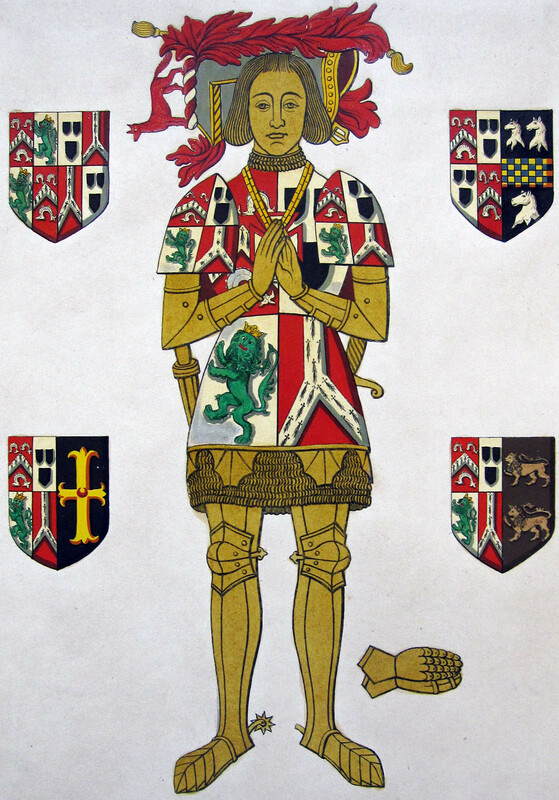 So, when choosing emblems for your coat of arms, be careful, as it may point at your affiliation to some family. Besides, such tabards were widespread not only among military class. 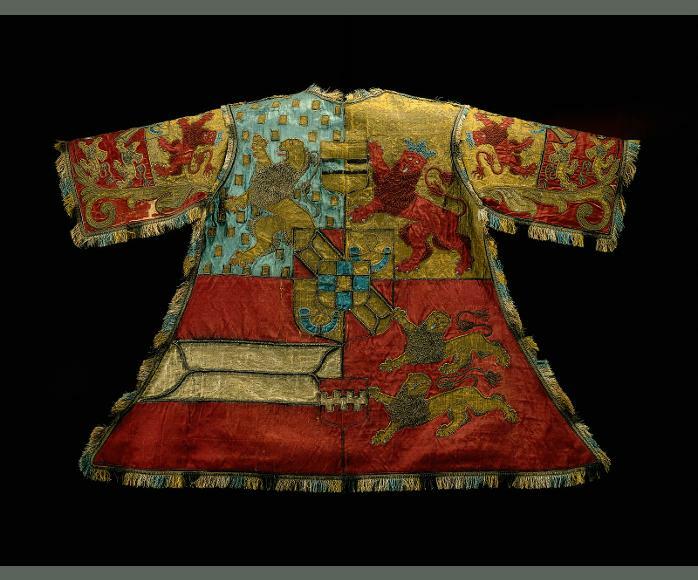 Tabard was must-have clothing for heralds and masters of ceremonies. Ambassadors wore tabards with coat of arms of suzerain. Hired (freelance) heralds wore tabards of simple design with plain blazons. 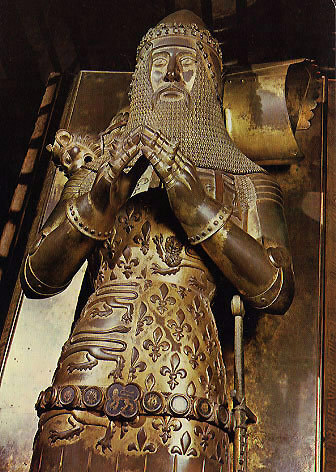 - some models could have short sleeves or kind of “shoulders” – pieces of fabric, which were decorated with blazons too. Tabard had V-shape or round neckline, that’s why it was pulled over and belted, depending on the model. 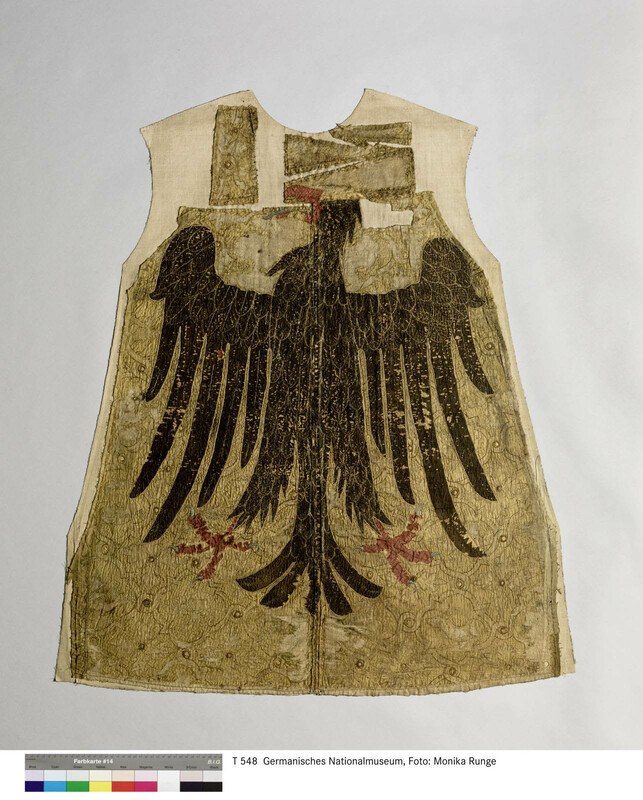 Samples of medieval tabards in good condition are survived to our days. They are kept in world museums or private collections. Now, tabards are popular as among reenactors (who often buy Viking, Crusader, Templar or Renaissance tabards), SCA and HEMA fighters, so among LARP participants. Even “World of Warcraft” gamers and “Game of Thrones” order coat of arms at us! We are ready to turn your any fantasy into reality! Be on-of-a-kind in tabard by Steel Mastery! Photos for this article were taken from web, so we do not pretend to be an owner.